The Australian Government has introduced a comprehensive telecommunications reform package into Parliament. The reforms aim to ensure all Australians can access sustainably-funded high-speed broadband services, regardless of where they live. The introduction of the package follows extensive policy development and public consultation processes. The Bills have three key outcomes described below. 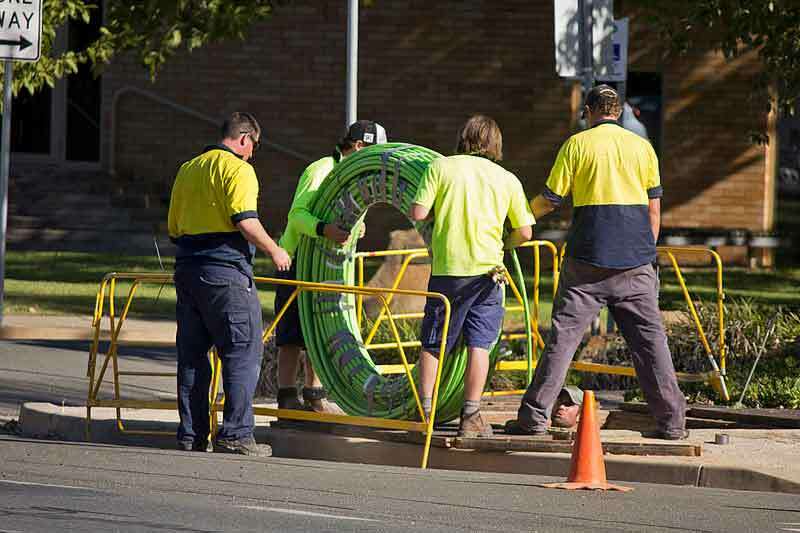 The Government is establishing a Regional Broadband Scheme (RBS) to ensure there are long-term sustainable funding arrangements in place to provide broadband services to Australians in regional and remote areas. The National Broadband Network’s (NBN) fixed wireless and satellite networks provide critical broadband services to regional and remote Australia, however these networks are not commercially viable and are expected to incur losses of AU$9.8 billion over thirty years. Currently, funding for these networks is dependent on an opaque internal cross-subsidy from NBN&apos;s profitable fixed line networks in metropolitan areas. The RBS makes this cross-subsidy transparent and creates a level paying field, requiring other competing fixed line networks to contribute to the cost of funding broadband for regional Australia. The RBS is not a new cost for NBN users. It is already built into existing NBN broadband prices today. It is estimated that by the time the NBN is completed in 2020, 95% of the RBS will continue to be paid for by NBN, whereas today it is 100%. The remaining 5% will be paid for by competing NBN-comparable wholesale broadband networks. Today, the outdated Universal Service Obligation (USO) provides every Australian with access to a voice-only standard telephone service. (earlier this week, a report by the Australian Productivity Commission recommended winding up standard telephone and payphone based Universal Service Obligation by 2020). The new SIP obligations make NBN Co the default ‘infrastructure provider of last resort’. There will be a requirement on NBN Co to connect premises and supply wholesale broadband services on reasonable request. NBN Co will become the SIP for areas as it rolls out its network and it will be the default SIP for all of Australia after the NBN is declared built and fully operational. Other network providers can also be SIPs where appropriate, for example where they have contracts to service premises in a new real estate development. There are changes to separation rules in the form of requirements for network owners. Since 1 January 2011, new high-speed broadband networks have been required to be wholesale-only. These rules are being amended to make them clearer and more effective, and allow network providers to run separate wholesale and retail businesses on a ‘functionally separated’ basis. Network providers will need to obtain the approval of the Australian Competition and Consumer Commission (ACCC) by submitting a functional separation undertaking to it. The ACCC will consider undertakings based on whether they promote the long-term public interest. The reform package will also remove rules that required networks servicing small businesses to be wholesale-only. Small businesses will benefit because competition will promote investment in networks and services to meet their specific needs. These changes are expected to ensure that all new superfast broadband networks operate on a level playing field, providing competition and choice for consumers and investment certainty for network builders. The ACCC will also be able to exempt very small operators from the rules. This is expected to encourage new entrants into the market.